Here are some of the frequently asked questions. If you still have questions contact us and we will be glad to assist. How Much are your balloons? We offer many design options and customized décor for your event. If you want a design that we have previously displayed, call or email for pricing. Yes. For all orders there is $200 minimum excluding delivery. This does not include tax, delivery/set-up cost. 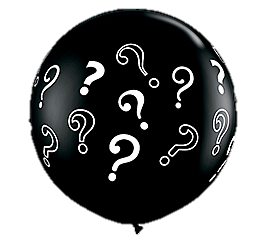 Latex balloons without hi-float treatment will last approximately 18-24 hours. When treated with hi-float they can last up to a week depending on environment temperature. The sooner, the better! Lots of times there are conflicting times for events, causing someone to be disappointed. Avoid the uncertainty and place a deposit to hold your date. Orders placed within 48 hrs of an event are subject to a rush fee if we can accommodate the client. Can you provide me with a design before I purchase? Absolutely! There is a non-refundable fee of $50 to have a design consultation. The fee will be applied towards total dcor costs. Do you visit the venue or should I send photos? If schedules permit we can visit the venue provided a deposit has been made. You can also provide us with photos to show areas to be decorated. We accept all major credit cards, check ( balance paid 5 days prior to event), Cash. If you are a licensed business requiring continuous service call for payment terms. Depending on location from central Atlanta $35-55. Specific pricing will be quoted after inquiry form is submitted. Can I send you a photo to duplicate? Sure! Our work is very visual and sometimes our clients don't know how to explain their ideas. We don't mind the photos. Yes. We are always searching for good talent to join our team. Email your resume to customerservice@1moeballoon.com with subject line: Apply for balloons. You must have a clean driving record.